There will be no re-count in the race for Wisconsin Supreme Court. Lisa Neubauer is conceding the race to Brian Hagedorn. Unofficial results showed Hagedorn with about a 6,000 vote lead after the April 2nd election. That didn’t measurably change during canvassing. 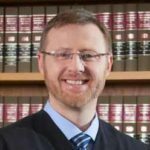 Hagedorn’s win means the conservative majority on the court will increase to 5-to-2 when he begins his ten-year term in August. There’s likely to be a recount coming for the State Supreme Court race. Judge Brian Hagedorn holds a very slim margin over Judge Lisa Neubauer in the unofficial totals from last night, with just tenths of a percent separating the two. Justice Rebecca Bradley told a crowd of Hagedorn supporters that they are expecting a win. A statement from Neubauer’s campaign says they will be asking for a recount. The last recount for a State Supreme Court race was between former Justice David Prosser and former state attorney general JoAnne Kloppenburg. Wisconsin Governor Tony Evers is ordering a state agency to develop a plan to help people get the identification needed to vote in elections. That would expand hours at Division of Motor Vehicle offices so people can have an easier time acquiring driver’s licenses and identification cards for voting. Evers issued an executive order Monday telling the Department of Transportation to deliver the plan by the end of this year. Evers said the plan could include keeping DMV offices open on weekends and evenings and building new offices accessible by public transit. The race for mayor of Madison is set. Incumbent Mayor Paul Soglin and former alder Satya Rhodes-Conway advance following Tuesday’s primary that featured six candidates. Soglin finished first but Rhodes-Conway was just a couple hundred votes behind. Soglin has been mayor in Madison on and off for over 20 years. Rhodes-Conway is director for a UW Madison think tank, and if successful would become the city’s first openly gay mayor. Two of eight candidates have advanced in Green Bay’s mayoral primary. Former State Representative Eric Genrich won Tuesday’s primary election by nearly 3,000 votes. Genrich says his approach has been about amplifying the voices of the people of Green Bay, and plans to continue with that theme. Coming in 2nd on Tuesday is former Green Bay Alderman and current Brown County Supervisor Pat Buckley. He believes his experience in holding multiple positions in local government will help him win April 2nd. Early voting has begun in the city of Barron for the primary election for the open at-large seat on the Barron City Council. Three candidates are running for the position, including two Somali American residents, Isaak Mohamed and Faisal Ahmed. They will join Paul Solie on the ballot in the February19th primary, when the field will be trimmed to two candidates for the April 2nd spring election. The winner will serve a two-year term. Although Somali Americans have been living and working in Barron for more than 20 years, this is the first time a Somali American has run for public office in the city. It is believed that Mohamed and Ahmed are the first Somali political candidates in Wisconsin history. Nancy Pelosi is once again Speaker of the House, but not without some dissension in among House Democrats, including Ron Kind. Congressman Kind was one of 15 Democrats who voted against Nancy Pelosi as Speaker of the House. Kind instead voted for Chief Democrat whip John Lewis. Other people who received the protest vote included former vice president Joe Biden, Senator Tammy Duckworth, and Democratic Congressional Campaign Committee Chairwoman Cheri Bustos, several votes simply cast as “present”.